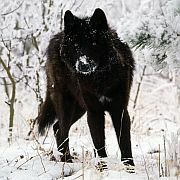 Wolflore » View topic - uploading images. tried numerous times and no go. can someone recommend a site i can use? never had to do it this way before just seems more complicated than it should be is all. i know its the rules but it would be nice and easier to just grab the image from my desk top i think the size i good but can fix if needed. Doesn't imgur allow that? I use imgur. whats imgur? this is the first time in five years i tried to upload anything that wasnt from my desk top. photobucket has changed alot since the last time i used it 7 years ago wasnt sure my login was still good. i dont mind ads so much but there is a limit to what ill tolerate. I'm confused. Are you trying to upload images from photobucket to here, or are you trying to upload images to photobucket? fleet wrote: I'm confused. Are you trying to upload images from photobucket to here, or are you trying to upload images to photobucket? Uploading them to Photobucket and linking them here, Fleet. Dusty, you can upload your images here instead. Instead of using the quick reply box (the white box on the bottom), click the "Post reply" button to get the full editor. At the bottom you should see a tab that says "Upload attachment". Click on that, select your image, then click "Add the file". You can then put your files inline so they'll have a nice border around them instead of being in a white box. @jac thankyou sometimes things can stare ya in the face and ya still not see.